The idea that global evaluations about a person bleed over into judgements about their specific traits. 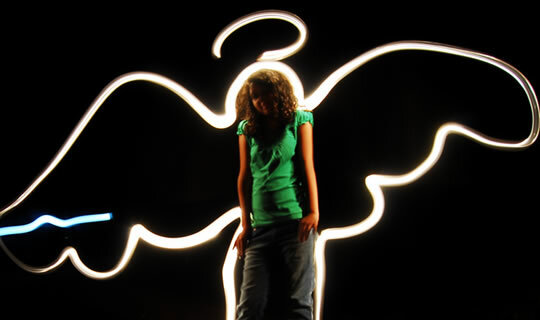 The ‘halo effect’ is a classic finding in social psychology. It is the idea that global evaluations about a person (e.g. she is likeable) bleed over into judgements about their specific traits (e.g. she is intelligent). Hollywood stars demonstrate the halo effect perfectly. Because they are often attractive and likeable we naturally assume they are also intelligent, friendly, display good judgement and so on. That is, until we come across (sometimes plentiful) evidence to the contrary. In the same way politicians use the ‘halo effect’ to their advantage by trying to appear warm and friendly, while saying little of any substance. People tend to believe their policies are good, because the person appears good. It’s that simple. But you would think we could pick up these sorts of mistaken judgements by simply introspecting and, in a manner of speaking, retrace our thought processes back to the original mistake. In the 1970s, well-known social psychologist Richard Nisbett set out to demonstrate how little access we actually have to our thought processes in general and to the halo effect in particular. Nisbett and Wilson wanted to examine the way student participants made judgements about a lecturer (Nisbett & Wilson, 1977). Students were told the research was investigating teacher evaluations. Specifically, they were told, the experimenters were interested in whether judgements varied depending on the amount of exposure students had to a particular lecturer. This was a total lie. In fact the students had been divided into two groups who were going to watch two different videos of the same lecturer, who happened to have a strong Belgian accent (this is relevant!). One group watched the lecturer answer a series of questions in an extremely warm and friendly manner. The second group saw exactly the same person answer exactly the questions in a cold and distant manner. Experimenters made sure it was obvious which of the lecturers alter-egos was more likeable. In one he appeared to like teaching and students and in the other he came across as a much more authoritarian figure who didn’t like teach at all. After each group of students watched the videos they were asked to rate the lecturer on physical appearance, mannerisms and even his accent (mannerisms were kept the same across both videos). Consistent with the halo effect, students who saw the ‘warm’ incarnation of the lecturer rated him more attractive, his mannerisms more likeable and even is accent as more appealing. This was unsurprising as it backed up previous work on the halo effect. The surprise is that students had no clue whatsoever why they gave one lecturer higher ratings, even after they were given every chance. After the study it was suggested to them that how much they liked the lecturer might have affected their evaluations. Despite this, most said that how much they liked the lecturer from what he said had not affected their evaluation of his individual characteristics at all. For those who had seen the badass lecturer the results were even worse – students got it the wrong way around. Some thought their ratings of his individual characteristics had actually affected their global evaluation of his likeability. Even after this, the experimenters were not satisfied. They interviewed students again to ask them whether it was possible their global evaluation of the lecturer had affected their ratings of the lecturer’s attributes. Still, the students told them it hadn’t. They were convinced they had made their judgement about the lecturer’s physical appearance, mannerisms and accent without considering how likeable he was. The halo effect in itself is fascinating and now well-known in the business world. According to ‘Reputation Marketing ‘ by John Marconi, books that have ‘Harvard Classics’ written on the front can demand twice the price of the exact same book without the Harvard endorsement. The same is true in the fashion industry. The addition of a well-known fashion designer’s name to a simple pair of jeans can inflate their price tremendously. But what this experiment demonstrates is that although we can understand the halo effect intellectually, we often have no idea when it is actually happening. This is what makes it such a useful effect for marketers and politicians. We quite naturally make the kinds of adjustments demonstrated in this experiment without even realising it. And then, even when it’s pointed out to us, we may well still deny it. So, the next time you vote for a politician, consider buying a pair of designer jeans or decide whether you like someone, ask yourself whether the halo effect is operating. Are you really evaluating the traits of the person or product you thought you were? Alternatively is some global aspect bleeding over into your specific judgement? This simple check could save you voting for the wrong person, wasting your money or rejecting someone who would be a loyal friend. Or perhaps, even if you do check, you’ll still never know…Gulp.